The predictions of some about massive chaos and bloodshed with the advent of an indigenous-dominated government had not materialized to anywhere near the extent foreseen.2 But all was far from plain sailing following these momentous upheavals. Newspapers were full of allegations of corruption in a high government quarter. This was one more bitter pill for the millions in disadvantaged people groups who, hoping for an overnight leap in prosperity, were having to face the fact that this was beyond the ability of any government to suddenly deliver. There were encouraging signs of economic advance, but at the same time unemployment raged in excess of 30%. Desperate to survive without the sort of social welfare safety net most in the West take for granted, every street corner was packed with people selling meagre wares. Hundreds would stand at major intersections hoping for casual work. My research before coming indicated that anti-Christian elements were having a ‘field day’, subtly blaming Christianity and the church for apartheid. Apparently, only a minority of Christians/denominations spoke out strongly against apartheid.5 The Dutch Reformed Church, almost like a ‘state church’, was for some years a compliant partner in many government policies. This same church/state relationship ensured that most South Africans were not taught evolution in schools. Thus, many believed ‘in Adam and Eve and Genesis’. So no wonder the elite were now saying that getting rid of South Africa’s creation-based Christian heritage (mostly by aggressively pushing evolution) was part and parcel of vanquishing racism. First, that historically, racism was dramatically exacerbated by evolutionary teaching (even though most modern-day evolutionists are antiracist6). 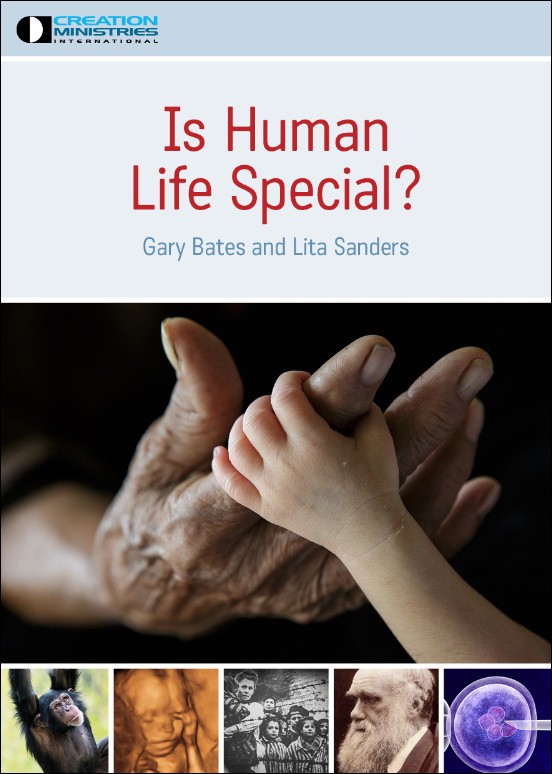 That makes sense; if we obtained our ‘differences’ from tens of thousands of years of separate evolution, then, since there is no ‘fixed speed of progress’ in evolutionary theory, it provides a ready-made excuse for the sin of regarding someone else made in God’s image as ‘less human’ than one’s own group. Evolution thus gives a rationale for having dominion over, exploiting, another human being, contrary to the fact that our dominion mandate in Genesis extended only to the animals and plants. Second, we have stressed that even pre-Darwin (a time when there were other evolutionary theories around—Darwin’s own grandfather wrote on the subject7) the problem was that people rejected the authority of God’s Word concerning the true history of humanity. That is, that all are descended from one family that survived a recent global Flood. This should have been enough to make it blindingly obvious that we must all be, as the Apostle Paul put it in Acts 17:26, of ‘one blood’. In pre-Darwinian centuries, as now, vast numbers of Christians compromised the straightforward history of the Word. In fact, CMI’s message was wonderfully appropriate for South Africa. Indigenous and so-called ‘coloured’ (the name for ‘mixed-race’) Christians received the message with excitement and great joy. The Bible they had already pledged allegiance to was not, after all, the cause of their past oppression, but was a light illuminating the truth—that they have no intrinsic inferiority. ‘White’ Christians generally were also amazed and excited (out of 3,500 people I spoke to, only two stormed out of a meeting at that point). They did not have to harbour the secret thought that the Bible was somehow the problem—it was in fact the cure, once one no longer compromised its message! Many in the audiences were mindblown to realize that South African Christianity’s approach to Genesis had, like elsewhere, involved massive compromise. Many in the audiences were mindblown to realize that South African Christianity’s approach to Genesis had, like elsewhere, involved massive compromise. And far from having a culture uncontaminated by Darwin, one of their earlier political leaders9 had written an entire book trying to combine God/spirituality and evolution. Many told me how amazed they were at how they had been ‘brainwashed’ away from the simple truth of Genesis. One very pale-skinned lady said that her world would never look the same again, just from finding this out. She was especially taken with the revelation that we all have the same pigment (melanin) in our skin, eyes and hair. It was also easy to show that Adam and Eve could not have looked like the average European, but in fact were most probably the ultimate example of ‘racial (pre)mixing’! It was sad to see places like Soweto, the scene of brutality and massacre, and Cape Town’s notorious ‘District Six’. Here, the entire community had been punished, for its ‘sin’ of frequent ‘interracial’ marriage, by having all of their houses razed—without compensation. But it was at the same time sad to note that the 1994 winds of political change had also blown in the seeds of evolution, with the resultant onset of destruction of the Christian framework (and thus, the great good it does to any culture). Poverty was clearly not the only factor driving the huge increase in lawlessness. 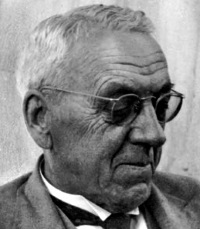 Robert Broom, who along with John Robinson discovered a skull known as Mrs Ples at the Sterkfontein Caves, near Pretoria. 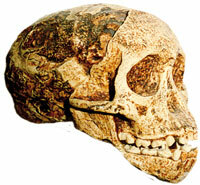 It was believed by many to represent a species (Australopithecus africanus) from which all humankind evolved. Since then, more and more evidence shows that Australopithecus is nothing more than an extinct ape. 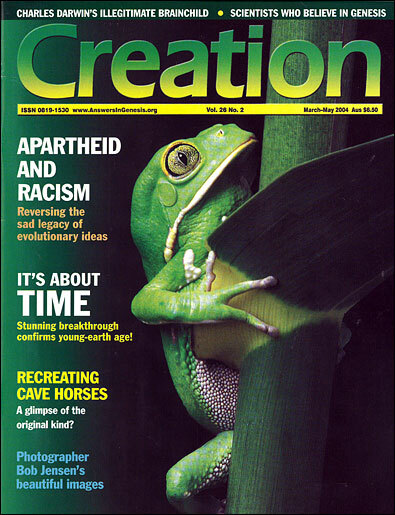 One of the clear evidences of this wave of evolutionism was recurring publicity about ‘The Cradle of Humankind’. This is the name given to an area around Johannesburg where a number of fossil ‘hominid’ (alleged apemen) finds have been made. It includes the famous Sterkfontein cave deposits. I was amazed to see the degree of ‘hype’ surrounding this area and its skeletal remains. It was clear that there was an undisguised political ‘push’ behind it. Seeing South Africa as the place where man evolved would both put the region on the tourist map and enhance national pride. But there was more to it. I saw internet documents (and other articles13) overtly discussing the need to use this ‘cradle’ to highlight to school children the ‘fact of human evolution’. The implication was that this would accelerate South Africa’s leap into a brave new world of tolerance and racial harmony. It was obviously absurd to try to heal racism with something (evolution) which had historically (and logically) fuelled it. The two prime ‘exhibits’ of the ‘Cradle’ fossils are the ‘Mrs Ples’ skull (now thought to be ‘Mr Ples’) and the ‘Little Foot’ skeleton. Both are examples of Australopithecus africanus. If one heeded the government’s propaganda, the overseas ‘movers and shakers’ in this evolutionary field should be in awe of these specimens and their significance. However, in reading evolutionary paleoanthropological speculations, these specimens rarely feature; most of the active speculation seems to be around A. afarensis (like the famous ‘Lucy’) or A. anamensis, not A. africanus. In reality, there are serious problems with accepting any of the australopithecines as man’s ancestors, such that there are even evolutionary experts who regard them as merely side branches, not human ancestors. i) Detailed anatomical studies by such evolutionary authorities as Charles Oxnard, using multivariate computer analysis, show that their features overall do not group ‘inbetween’ apes and humans, but are further away from these groups than apes and humans are from each other. In other words, the ‘hoopla’ fades away on closer examination. The whole group of creatures known as australopithecines and habilines (found in many parts of Africa) do not qualify well as man’s ancestors. It is only the highly motivated search for candidates, and the absence of anything better, which keeps them featuring in textbooks. And of that whole group, the ones in South Africa’s much-vaunted ‘Cradle of Humankind’ are some of the least inspiring candidates, even to evolutionists themselves. I found South Africa a wonderful place with many wonderful people, grappling with the pain of their recent past. I would highly recommend a visit—in spite of, not because of, the misguided fanfare about its ‘Cradle of Humankind’, which is clearly nothing of the sort. People did not evolve in Africa or anywhere else, but descended from Adam and Eve; and beyond that, Noah’s family. Science confirms that we are all, indeed, closely related. The cure for evolution-inspired racism in any country is not more evolution, but a realization of the biblical truth that we are all immensely closely related, and equally made in God’s image. And we all need to come into a right relationship with our Creator through faith in the Lord Jesus Christ. I can fully agree with 99% of Dr Wieland says. What really impress me, is his footnotes, where he actually points out that some of our early leaders were actually evolutionists! 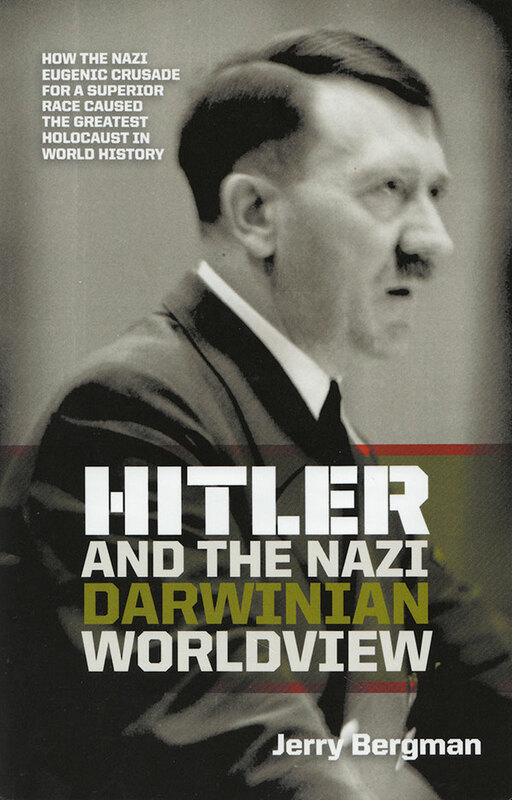 And I fully agree with him where he points out that evolution is not going to heal the nation’s ”racial” affairs! Seeing the fact that they are now pushing evolution like never before. Another very relevant article which CMI has produced on the subject is The Bible v slavery and apartheid. I did not grow up in the heart of the apartheid era, but there is one very strong lesson that comes from all of this, and it is: Churches should NOT try to wangle the Bible in order to be politically correct, or to be in line with popular secular philosophies (which also include evolution). In the Apartheid years, obviously, it was very politically correct. We should stand on the Bible only. Today, there is also a lot of pressure on churches to compromise with secularism, especially when it comes to homosexual affairs. About the Dutch Reformed Church I can say the following: It has always been one of the first targets of secularists when they want to force their ungodly philosophies on Christians. They usually come in the crossfire first. Second, there has always been some very secular people in DR church, which I believe makes it difficult for them to stand on their Biblical feet. Thus there tend to be constant conflict between the good biblical Christians and the secularists. One thing that I can point out is that, as the above-linked article says too, in some stage before the fall of Apartheid, the DR church was getting in a position where they started to vigorously oppose apartheid. This had a big influence on many people, which I believe helped to bring it down. In April 1994. Return to text. 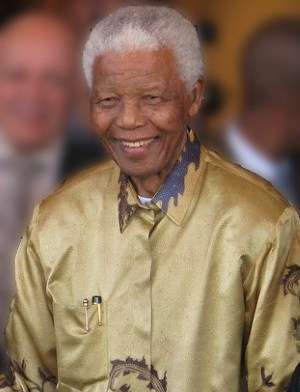 This was thanks in part to the conciliatory wisdom of the now-globally-iconic Nelson Mandela. F.W. De Klerk, who shared the Nobel Peace Prize with Mandela, is now largely forgotten but his negotiations for a Government of National Unity were crucial in minimizing bloodshed. Return to text. I learned this expression from a European-African in Capetown. At the least, there was unease or defensiveness about the issue. Return to text. While neighbouring Zimbabwe is well known for the murder of farmers of European extraction, the number of such farmers murdered in South Africa since 1994 is much greater. Return to text. The Anglican Church in South Africa, with its strong biblical/evangelical heritage, always denounced apartheid as a ‘heresy’. Return to text. Many therefore seek to deny or water down the evolution connection, but others, such as Stephen J. Gould, have admitted it frankly. For further documentation, see Ham, K., Wieland, C. and Batten, D., One blood—the biblical answer to racism, Master Books, Arkansas, USA, 1999. Return to text. Grigg, R., Darwinism: it was all in the family, Creation 26(1):16–18, 2003. Return to text. Wieland, C., Darwin’s bodysnatchers, Creation 14(2):16–18, 1992; Evolutionary racism, Creation 20(4):14–16, 1998. Return to text. General Jan Smuts, who in the 1920s was already involved in some overtly repressive policies towards indigenous people. 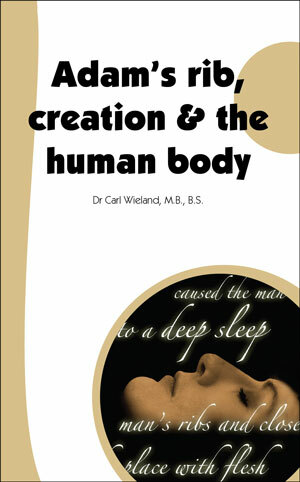 The book was Holism and Evolution, N & S Press, Cape Town, South Africa, p. 361, 1987 (first published in 1926). Return to text. However, it is not as if either evolutionary-influenced racism or policies of ‘separateness’ started with Verwoerd. ‘Separation’ practices were common in Britain’s African colonies before the modern apartheid era began in 1948. Return to text. Fortunately, not all were consistent with this idea, since such a notion would imply that people of ‘other races’ cannot be saved. Many who believed in the basic principles of ‘separate development’, including people in the Dutch Reformed Church, were at the same time actively involved in mission work to other people groups. Return to text. Grigg, R., Fraud rediscovered, Creation 20(2):49–51, 1998; Wieland, C., Goodbye, peppered moths, Creation 21(3):56, 1999. Return to text. Esterhyusen, A. and Smith, J., Evolution, ‘The Forbidden Word’? South African Archaelogical Bulletin 53:135–137, 1998. Return to text. It is not being implied that this follows logically from evolutionary theory. Return to text. ‘Ape-woman’ statue misleads public: anatomy professor, Creation 19(1):52, 1996. Return to text. Spoor, F. et al., Implications of early hominid labyrinthine morphology for evolution of human bipedal locomotion, Nature 369(6482):645–648, 23 June 1994. Spoor is Professor of Evolutionary Anatomy at University College London, UK, and joint editor of the Journal of Human Evolution. Return to text. Oard, M.J., Did Lucy walk upright? J. Creation 15(2):9–10, 2001. Return to text.